Courting Lilac (Glaze) - Sheer lilac mauve with soft gold pearl. This color is kinda unique, though I can't really picture myself wearing it! These lipglosses are definitely more pigmented than the usual Dazzleglass, but they also have chunkier glitter (except for Passing Fancy and Radiant Jewels). Lightly Prancing - Light peach with gold pearl. My Highland Honey - Bright coral with soft gold pearl. This reminded me a more matte version of the Fun & Games Beauty Powder Blush from the Hello Kitty collection. Her Blooming Cheek - Very bright iridescent blue pink. Need me to say more?? These eyeliners are pigmented and the colors oh so gorgeous!! *drools* Black Line, Undercurrent and Petrol Blue are repromotes from the Art Supplies collection. Golden Crown - Light gold with bronze tartan striping. This one has rather large glitter particles in it. I think I wanna get some blushes from this collection. Love the packaging! I'm not really digging this collection at all, I'm afraid. 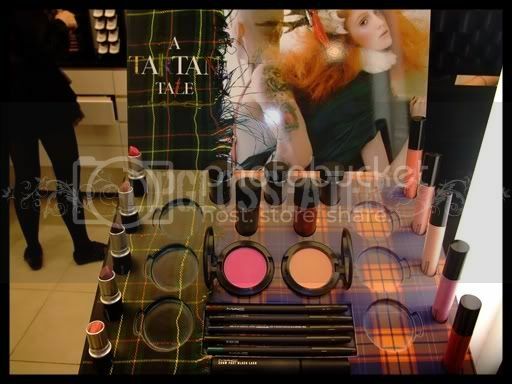 I'm a sucker for anything tartan so I like the packaging but the shades look sheer and dupable..
Charming Vanity: Oh ic!! The blushes are beautiful, but they come in regular packaging though! 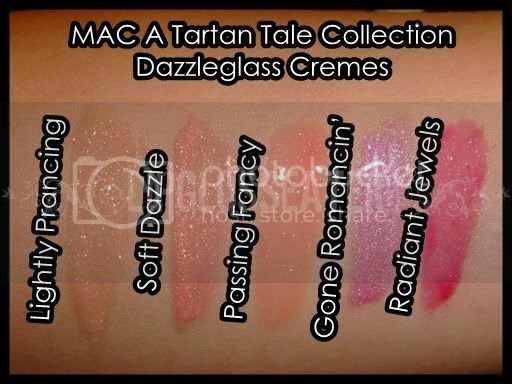 My Highland Honey will not show on tan skin when swatched but goes on really nicely on cheeks IMO. 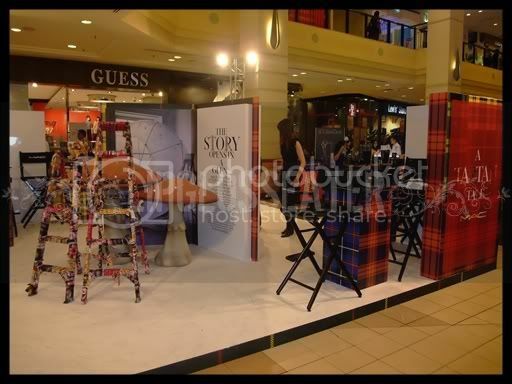 Got mine on Fri & promptly used it on Sat. Loving it. Sly as a Fox photograph better than it looks IRL. 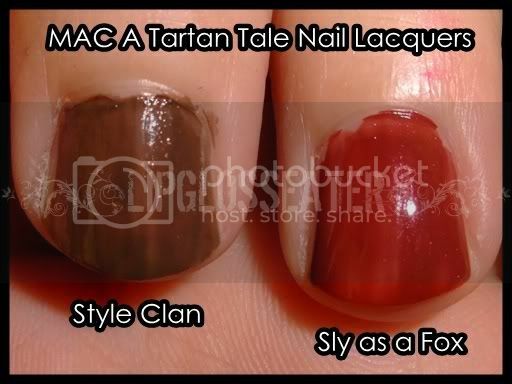 When I tried it at MAC, it was luckily not streaky. Hated the shade, looks like lonngkang water red. 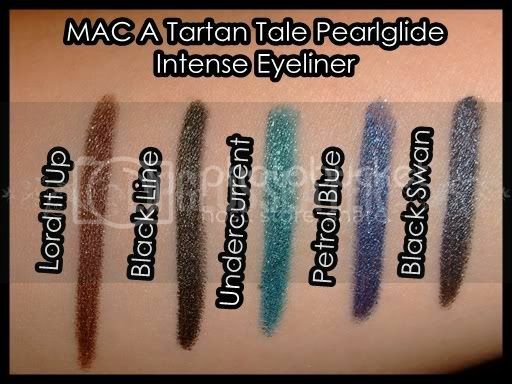 I do love the Pearlglide liners esp Undercurrant which is great with Moonlight Night glitter IMO. Later pigment swatch terribly dry but transforms really nicely wet. Did you get anything?